The Leica Tethered Plug-in connects your Leica SL directly to Adobe Photoshop Lightroom 6 / CC on your computer with a USB cable. The plug-in enables tethered, remote release of the camera and immediate display of the images captured into Adobe Photoshop Lightroom 6 / CC. The ideal solution for a fast and reliably stable tethered workflow. Download the plug-in now from the Leica Owners’ Area. 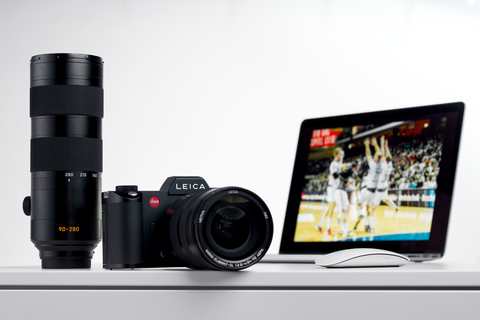 Enjoy the ease and convenience of controlling your Leica SL (Typ 601) from your computer. All you need is the Leica Image Shuttle software package and a USB connection. All exposures captured with the software can be saved directly to a selected drive on your computer. Download from the Owners' Area. Take advantage of the latest firmware updates to make sure your Leica is always state-of-the-art. Enjoy the benefits of improved performance and numerous brand new features and functions for your camera. Visit us online to find out all about the latest features. Download.